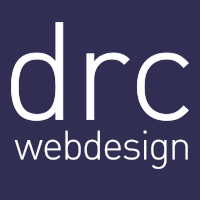 Welcome to DRC Web Design, a leading web design agency in Halifax, who is willing to help anyone who needs a new website or simply wants to refresh their old one. If you are a Halifax-based business of any size, you will obviously know how important a good looking website can be for a local business. They help you engage with and attract new customers and drive sales for your products and services. As a web designer in Halifax, we know how to design a website that attracts customers to buy from you at a substantial rate. At DRC Web Design, we provide web design services for the Halifax area and we know exactly what your website needs to thrive and allow you to become a leader in your local community. For example, you might have come across us by searching “web design Halifax” – this is because we have created a website that not only looks good but also ranks highly for the keywords we’re pursuing. We take advantage of tried and tested search engine optimisation methods during the web design process so that you have the right foundations from the very beginning. A big part of the web design process is working out your needs and what will make you stand out your niche and then achieving those needs as quickly as possible. We take the time to discuss your requirements and help you research what makes other companies in your niche across the world successful. We can help you grow your business with an affordable beautiful website. Need an expert web designer in Halifax? Contact us on 613-818-0467 for your free quote and more information. All of our websites are built on the WordPress platform to make maintenance and future changes easy for you. To aid this process, we provide a personalised tutorial video along with your completed website so you can get started as soon as possible. Every website that leaves our office comes with Google Analytics pre-installed to make tracking of your website traffic and user behaviour super easy. This information will allow you to make better marketing decisions and see which campaigns worked for you and which ones could use more planning. By this point you know we offer web design service, but did you know we can also host your website for a competitive price. This means we can take care of everything to do with your website instead of you jumping between multiple companies. Our service doesn’t stop once we deliver your website to you. We offer maintenance to make any changes you want on your website and even monitor downtime. Any user experience issues that you come across can be solved within a day to keep you running. You can have as much or as little input in your website design as you’d like. Some of our clients just want to leave the work to us and receive a nice fresh website without any hassle, while others want to be involved every step of the way. We can accommodate your preferences.